“Carry the Future” is a non-profit which aims to help refugees with small children. After intial fund raising and donations poured in, Ms Logothetis and ten others flew to Greece to hand out more than 3,000 baby carriers. 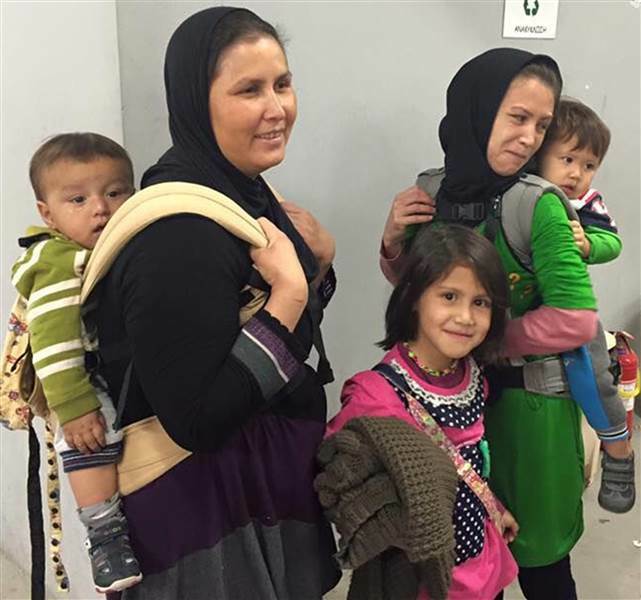 “Mothers have to walk hundreds of miles with babies and toddlers in their arms; a task that is physically strenuous to say the least,” says Ms Logothetis on the Indiegogo fundraising page. The group has raised over $60,000 so far and have also set up another IndieGoGo campaign called “Operation Refugee Child”. The purpose of the second campaign is to provide care packages for refugees. 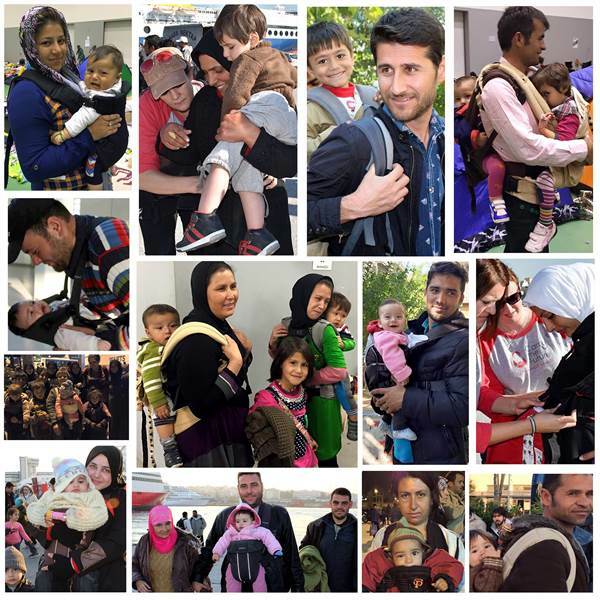 Visit 10,000 Baby Carriers for Refugees in Greece. Una madre de California, viendo que muchos refugiados en Grecia iban con sus hijos en brazos, pensó lo bien que podría irles, al menos, poder tener los brazos libres e inició una campaña para conseguir portabebés. Miles de padres y madres se sumaron a la causa “Carry the future” y lo que parecía la lucha de una pequeña hormiguita se convirtió en la emocionante historia de un viaje para llevar miles de portabebés a los refugiados. Pero la campaña continúa. Entra en la campaña en Indiegogo para conseguir 10000 portabebés.